TIFFIN, OHIO – June 27, 2017 – The Seneca Department of Job and Family Services/OhioMeansJobs is partnering with local organizations and manufacturers to hold Seneca County’s second Manufacturing Showcase on October 13, 2017 at the Heminger Center on the Tiffin University campus. The event is an opportunity for area students to learn about careers in manufacturing and participate in hands-on skill demonstrations. The showcase will focus on six skills: team building, lean practices, employability, machining, supply chain and mechanical engineering/electrical trades/automation. For each skill, there are six spaces available for a hands-on demonstration. Eleven schools within Seneca County will send nearly 800 students to participate in the showcase. The event will last a full day, with students split into one morning session and one afternoon session. Lunch will be provided at no cost. Several manufacturers are already on board; Callies Performance Products, and The Mennel Milling Company of Fostoria have signed on as well as National Machinery, Webster Industries, and Toledo Molding & Die of Tiffin. If you would like more information, to make a donation, or to sign up for a space at the showcase, please contact Carol at 419.447.5011 ext. 322, or visit http://senecashowcase.wordpress.com. The first ever Seneca County Manufacturing Showcase was held at Heidelberg University today, giving 750 high-school students from 12 schools a chance to explore different skills valued in the workplace, specifically in manufacturing. Fourteen local manufacturers led students through six different skill sets. The kids learned about team building, lean practices, employability, supply chain, machine trades and electrical trades/mechanical engineering/automation through interactive booths staffed by local companies. Fostoria Economic Development Corporation President Renee Smith agreed. “Manufacturing is a huge economic component of Seneca County, and it is the largest employer. It is essential that we continue to expose students to the career possibilities with our local companies,” she said. Nearly 100 volunteers, including teachers from participating school districts, guided students through the planned activities. Tiffin City Schools Business Teacher Stacey Geiger said the event was rewarding as an educator. “It is exciting to see students engaged with Seneca County employers and using the knowledge that I incorporate in my classrooms,” she said. Seneca County is also fortunate to have great relationships with state officials who are passionate about workforce development and how it pertains to our young people. TIFFIN, OHIO – June 30, 2016 – The Seneca Department of Job and Family Services/OhioMeansJobs is partnering with local organizations and manufacturers to hold Seneca County’s first Manufacturing Showcase on October 14, 2016 at Seiberling Gymnasium on the Heidelberg University campus. The event is an opportunity for area students to learn about careers in manufacturing and participate in hands-on skill demonstrations. Thirteen schools in Seneca County will send more than 700 students to participate in the showcase. The event will last a full day, with students split into one morning session and one afternoon session. Lunch will be provided at no cost. Several manufacturers are already on board; Roppe Holding Company/Seneca Millwork, Inc., Nox Corporation, and The Mennel Milling Company of Fostoria have signed on as well as National Machinery, Webster Industries, Toledo Molding & Die, Tiffin Metal Products and Quick Tab II of Tiffin. If you would like more information, to make a donation, or to sign up for a space at the showcase, please contact Carol at 419.447.5011 ext. 322, or visit http://senecashowcase.wordpress.com. 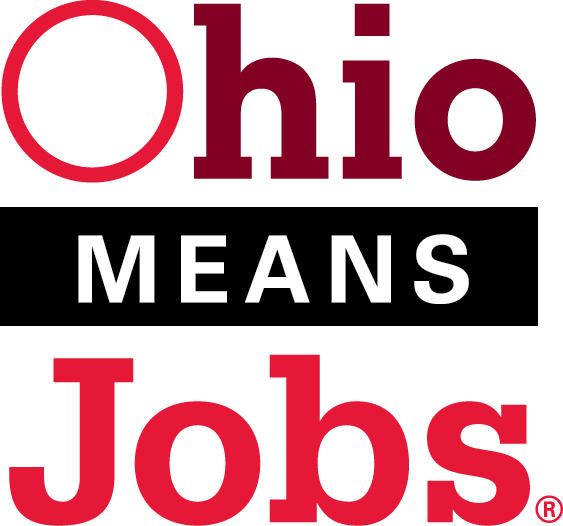 OhioMeansJobs Seneca County is to host the first Seneca County Manufacturers’ Bus Tour this Friday, Oct. 9. The purpose of the bus tour is to expose superintendents, principals, and junior and senior high school guidance counselors to manufacturing work environments, career opportunities (from entry-level to advanced), and the possibilities for tuition reimbursement, with the goal of hosting a bus tour for students in the future. The tour will start at 7 a.m. at OhioMeansJobs Seneca County, and conclude at 3:45 p.m. Lunch will be provided, and prepared by the Sentinel Career Center culinary students. For more information about the program, or to reserve a spot on the bus, please contact Carol Kern at carol.owen@jfs.ohio.gov or 419.447.5011 ext. 322. You can also check out tours already held in Sandusky and Ottawa Counties. When I was exploring various communities, something struck me about Tiffin and Seneca County – its economic development success. It’s a very well-kept secret, but it’s pretty amazing. There are 576 Micropolitan Statistical Areas (or “Micropolitans”) in the US, which are urban areas (counties) around a city of 10,000 to 49,999 in population–which is exactly what Seneca County, Ohio is. 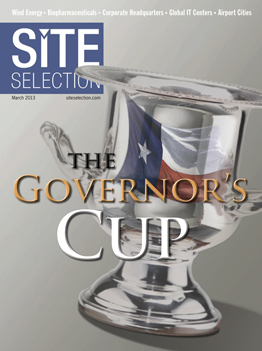 Also, every year, these micropolitans compete for economic development bragging rights by sending in their large private investment projects to Site Selection Magazine. 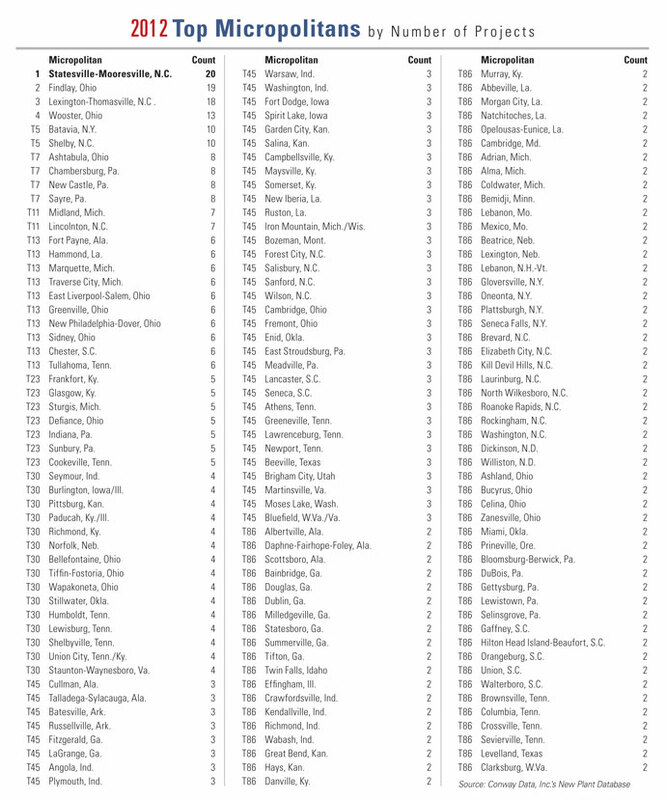 Site Selection then racks and stacks each micropolitan and releases in their March issue the top 100 (20%) nationally in terms of the number of projects. In order to qualify, a project must involve (a) 50 or more new employees, (b) 20,000 or more new square feet of space, or (c) $1 million in investment. So, here’s the amazing part. For seven of the last ten years, Seneca County has ranked in the top 100 (the top 20%) across the country. And last year, it tied for 30th, putting it among the strongest 5% nationally. This is great news and is a testament to the county’s economic growth, the great businesses here, the community’s support of business, and the great job Rich Focht and Karen Bowers did at SIEDC (my organization). The table below is from the March 2013 edition of Site Selection, in particular the article on micropolitans.